Following a meeting with Dominic Orange – Group Purchasing Manager, CorpAcq very kindly sponsored 100 Cuddle Bags as part of their CSR Policy. They are a Manchester based Company who are dedicated to acquisition, management and growth of companies. The team at summ.it have supported Wipe Your Tears since 2014. Each year they provide a generous donation of toys for our annual toy appeal, alongside this they have participated in fundraising events such as Ironman and The Mighty Deerstalker Challenge. The commitment and effort they show to Wipe Your Tears is widely acknowledged and the funds they raise helps tremendously with the work that we do. “Delivering tailor made business solutions for SME’s”. We are lucky to have the support of Vida Loca through fundraising and sponsorship. They first supported Wipe Your Tears with the ‘Kai Will Walk’ appeal and more recently offered sponsorship for our Spring Flower Dance 2017. “The work that this charity does is something we at Vida Loca hold close to our hearts. It is an honour to be able to even slightly help the amazing people that run Wipe Your Tears” -Dan. 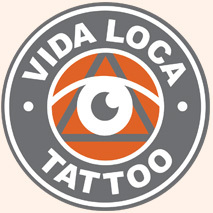 Daniel Watson, Founder of Vida Loca is a successful, local businessman and a qualified tattooist. Daniel is also an ex-boxer formerly known as ‘The Phantom’ where he made his debut in the Welterweight division in 2012. Vida Loca Lounge is the all new coffee shop in Bolton offering handcrafted drinks and a selection of cakes and treats. In conjunction with our successful skate and tattoo shops Vida Loca have decided to open a relaxing, modern lounge area for customers new and old to rest their aching shopping legs and enjoy a beautiful handcrafted drink and maybe even a cake (or two!). Vita Skills is a National Training Provider and actively supports the wonderful work that Wipe Your Tears charity does with children & their families in the UK. The WYT team works tirelessly to support them and their passion and dedication to each individual child is what makes them stand out! It our pleasure to work with such a wonderful charity. Virgin works hard with Wipe Your Tears and has provided 1st Class return train tickets which formed part of our London Weekend experience in the auction at The Tear Drop Ball in 2013.